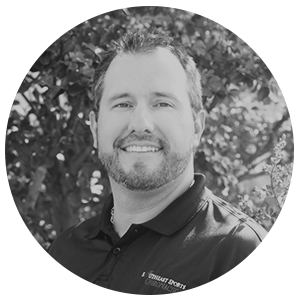 Dr. Todd Riddle is a Certified Chiropractic Sports Practioner (CCSP), Registered Kinesiotherapist (RKT) a Certified Strength and Conditioning Specialist (CSCS) with over 17 years of experience in sports medicine and sports performance training. Riddle is a graduate of Sherman Chiropractic College, completing his studies at the top of his class. Dr. Riddle’s career in sports began in high school as an All-Ohio quarterback, earning him a full athletic scholarship to the University of Toledo. There he received his undergraduate degree in exercise science and Kinesiotherapy while being a two-sport athlete, playing quarterback for the Toledo Rockets Football team and throwing the javelin on the track team. Dr. Riddle’s early career involved work as an aquatic therapist at the UT Kinesiotherapy Center. In 2002, he started Evolution Sports Training, an athletic performance center based in Charlotte, NC that later became the first Athletic Republic Training franchise in the United States in 2007. Dr. Riddle trained and treated thousands of athletes at all levels of skill and ability, ranging from the amateur to professional and hosted dozens of training camps for prospective college athletes throughout the USA. His extensive experience with human performance and rehabilitation has served him well in his chiropractic career—he began teaching physiotherapy courses as a student in chiropractic school. Dr. Riddle currently serves as Assistant Professor at Texas Chiropractic College, teaching classes, among others, in rehabilitation. He is also an attending clinician at TCC’s Moody Health Center. Aside from his work at TCC, he is a certified instructor for FAKTR and Dynamic Tape seminars, teaching courses to chiropractors, physical therapists, athletic trainers, massage therapists and other healthcare providers all over North America. Dr. Riddle has served on various chiropractic committees at the national level and is an active member of the American Chiropractic Association. He is married to Jessica and has 4 children, Isabella, Scarlett, Brooks and Charleston.